Inbal Steinberg was fed up with the constant marketing talk about artificial intelligence at accounting software expos so she decided to find out the truth. A software consultant who specialises in inventory for Xero and QuickBooks Online and NetSuite, Steinberg had a good enough grasp of programming and maths to enroll in a course on artificial intelligence. Steinberg learned about the different forms of artificial intelligence, such as machine learning, and how they apply to accounting. She is giving a primer on AI for accounting at the Accounting Business Expo (click here to register for free) on March 22 2018. Digital First: Why do a course on machine learning? Inbal Steinberg: I get frustrated when I hear buzzwords that sound over the top. Things like, “machine learning and artificial intelligence can answer questions that we haven’t yet answered”. And, “the machines are coming”. We know when we are being sold to. I don’t like to feel like I’m being sold magic through buzzwords. It’s just computers. That frustrates me. I hate it when technology sounds too much like magic. Because I’m always excited about understanding technology I want to understand what it really means. How does it work? What are the algorithms and the maths behind it? What can it do and what can’t it do? What are those neural networks that everyone talks about? It doesn’t make sense. Digital First: So what did you do? Steinberg: I looked into the maths behind them. When I removed the curtain and understood how it works I got more excited about them, not less. I understand how it works and it’s not magic – but that doesn’t make it less magical. I also think that when we understand we can use the technology more effectively. Digital First: What did you find? Steinberg: There’s a lot of confusion – a lot of people don’t know what means what. These terms are around us all the time. When I ask people what’s the difference between machine learning and artificial intelligence, they don’t know. Machine learning is an algorithm that teaches itself to make decisions based on large data sets. 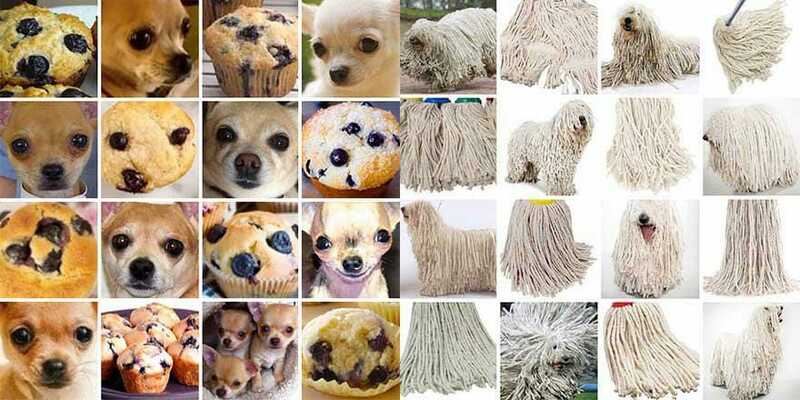 The most common example is image recognition. The more examples you give it over time the more it knows. When you let it go it’s a bit young and untrained and it will make a lot of mistakes. It will think a cat is a dog and a cow is a horse. But the more it works the better it gets. And it can even teach itself to recognise new animals. Digital First: What is the definition of artificial intelligence? Steinberg: There are a lot of definitions, but it is anything to do with mimicking the way we think. Machine learning is part of that; one of the ways to create AI is to mimic how we learn. Another branch is natural language processing. This algorithm learns how people use the same language differently depending on context. The same word can have different meanings in a medical or manufacturing world. Artificial intelligence is everything that tries to mimic how we think including emotion, language and learning. Digital First: Which one of these is most relevant to accounting? Steinberg: I think they will all come into play. I haven’t seen anyone do too much yet. One of the precursors for machine learning algorithms is you need a lot of data. What Xero, Intuit and NetSuite did is that with cloud accounting we now have huge databases of everyone’s data altogether. The first thing that we see in the market is a new interface. These chatbots use natural language processing, that’s the first thing that we see. Soon enough we’ll be driving in our car and say, “Hey Xero has Fred paid my invoice?”. Or tell our phone after a meeting, “Invoice Rachel for three hours of my time”. And there’s a lot behind that, understanding what I’m saying to the computer and translating that to a simple command that it can do is very complex. Digital First: What about auto-coding in bank reconciliation? And auto-coding invoices? Steinberg: It could be machine learning. It could look at what has been done with a similar transaction in the past, it can look at what other people do with transactions like this, it could identify mistakes I make compared to what other people do. A machine learning algorithm would take the rules that accountants learned in accounting school and then train itself on data sets of correct coding. It would look at the amount, the time of day of the transaction, then it would continue from that. Xero sent us some statistics on how fast a business gets paid based on their payment terms. Xero figured out the best payment terms to put on our invoices so we get paid fastest based on our cash flow. Digital First: So – are the machines coming? Will AI reduce the need for accountants in public practice? Steinberg: So here’s where it comes to accounting – when I sit with my accountant, they look at their financials and ratios and they come up with conclusions and predictions. They will say that this ratio is pretty high and this ratio is pretty low, it seems like we’re heading towards a cash flow issue. Or those two ratios have been high for a while this business is a good candidate for a sale. They make those observations on what they learned at accounting school but a lot of it is from experience – the training sets they have encountered in their lives. But if we take computers and train them on similar training sets they can be trained more efficiently. They can process much larger sets of examples in a given time than we can. And secondly our learning is not clean. If we had a company that we were prepared to sell and it ended up not working out, we could be very emotional about it. Even if it was just one example and we’re not even sure why it went wrong. Maybe it was something personal with the person selling the company. Whereas a computer can become amazing at identifying whether a company should be sold or if it should buy or will fall over or they need to hire. All those things that the accountant usually tells us the machine will do much better. That doesn’t mean that we’re making accountants redundant. Just as machine learning is used a lot in medicine it will provide backup and support for the accountant and do the grunt work for them. It’s like having a super-efficient, never resting assistant that is always bringing things to your attention. Those of us who use these machines can do so much more and do it better. Digital First: So software is getting a lot smarter. Where is this all going? Steinberg: Now it gets really beautiful. If we looked at how software worked until today, it was always pre-defined. In the past we gave the software a very clear rule, “if this… then that”. If the text in the description matched these words then code it to that account. If there’s a typo in the description it won’t pick it up. That’s what we’re used to. But with machine learning we’re telling the computer something more vague. There’s some correlation between the description and the account that I use. Or maybe it’s the amount. Larger amounts in Officeworks are more likely to be equipment like a screen. If it’s a smaller amount it’s probably stationery. Or maybe it’s the time of day. If I’m buying at night I’m buying art supplies for the kids. We’re telling the computer that we think there is correlation between these factors – time of day, amount, description – and which account it goes to. Now go through hundreds of thousands of examples and figure out the correlation and make new predictions. When it looks for the correlation we don’t know the correct weight that it applied to each factor. That’s why we say we don’t really know the exact correlation. The use that I find fascinating is in medicine. Imagine we let a machine-learning algorithm learn to identify whether a tumor is malignant or benign. We give it the density, size, age of person, where in the body – a lot of different factors – and we give it a lot of training data saying this was benign and this was malignant. Then it becomes really good at predicting that 98% this tumor is benign. The interesting thing is to ask the computer, How are you doing it? Show me the model you have built. Because the machine has discovered some medical truth that we didn’t know. Now we know something we didn’t know before. Digital First: How does this relate to accounting? Steinberg: If I gave you a large data set and said these are the things that I know about the business – here’s the age of the business, all the financials. Then I could ask the question, should I sell the business in the next 3 years? Imagine I ran an machine learning algorithm on it and told it the right answers for the training sets such as which businesses got sold and which didn’t, and it will start making predictions. When it starts giving good predictions I can ask it to show me the model. We can ask it to show us the model it built. And now we can learn from it. Digital First: That sounds very similar to Ansarada’s material information platform. I didn’t realise you could ask algorithms to “show us your models”. What else can you do? Digital First: It’s a very beautiful area. We show our child something big and black and say it’s a dog. We never tell them what makes a dog a dog. Unless we are artists or painters we can’t articulate what’s the difference between a dog and a cat – is it the shape of the ears or the nose? Neural networks do that. They learn to identify different animals and people, and no-one gives them a rule saying if the shape of the ears is like this then it’s a cat. But now they’re asking the algorithm to draw a cat or a dog or a parrot. It draws just the pointy ears or the nose – and only that. Because that’s all you need to see that it’s a cat. In the brain of the algo this is the definition of a cat. Algorithms can also generate dream-like videos where the computer is hallucinating – it’s making stuff up on the neural networks in there. I think magical is definitely the word for it, but it is also science. It’s real. 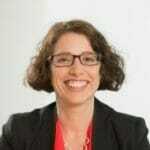 Inbal Steinberg is talking in “Explainer: what is machine learning and what does it mean for accounting?” at 3.30 pm – 4.00 pm on Thu 22 March 2018 at the Accounting Business Expo, Darling Harbour. Great write-up. It’s exciting to see so many industries looking at ways that AI can have an impact. One great area for application is the current expected credit loss (CECL). The new accounting standard that will change how financial institutions account for expected credit losses. The various data sources and machine learning models suit an artificial intelligence approach very well. Thanks Damian. I hadn’t heard of this. Is it a global initiative or just for the US?